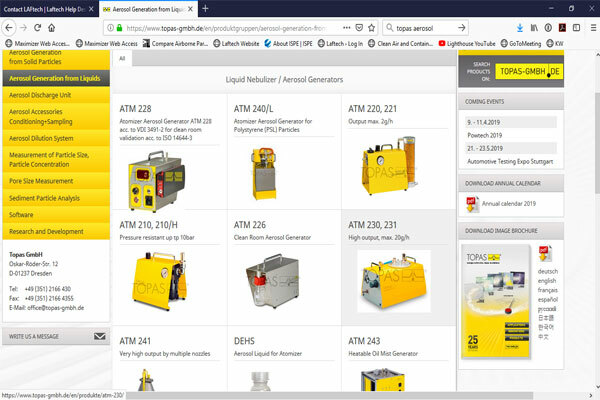 For those customers that have any interest in aerosol generation, filter testing, particle instruments and or related products, you definitely want to visit the Topas website and check out their latest range of state-of-the-art instruments. Based in Germany, Topas have been a world leading manufacturer of aerosol instruments for many years. Their products are widely used throughout Australia and the world by leading particle / aerosol researchers, filter testing companies and across many other industries. LAF Technologies is the Australian and New Zealand Topas agent. For more information on their products click HERE.